Reading the Declaration of Independence An Independence Day tradition continues. Morning Edition hosts, reporters, newscasters and commentators read the Declaration of Independence. This year, we also correct a historic footnote. 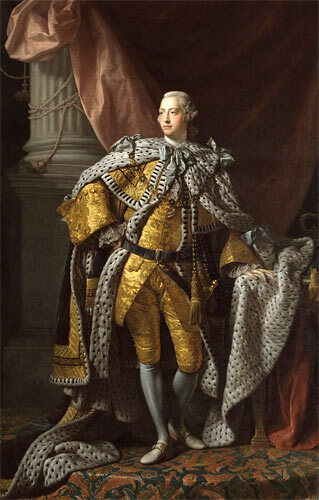 It turns out King George III didn't keep a diary after all. The music for this year's reading is "Dawn at Yorktown" by Eric Weinberg. Nineteen years ago, Morning Edition launched what has become an Independence Day tradition: hosts, reporters, newscasters and commentators reading the Declaration of Independence. This year, we also correct a historic footnote. Those of you with a keen ear may have noticed that this year our reading of the Declaration of Independence has a different ending. In the past we've said that "on July 4th, 1776, George III, king of England, wrote in his diary, 'Nothing of importance happened today.'" Turns out we were taken in by an old historic myth. "King George III never kept a diary," says Arnold Hunt, curator of historical manuscripts at the British Library. "The quote is a variation of another well-known story from the French revolution," he says. On July 14, 1789 — the date of the storming of the Bastille — Louis XVI of France wrote in his diary "rien (nothing)." Hunt says Louis was referring to a hunting trip where he came back empty-handed. 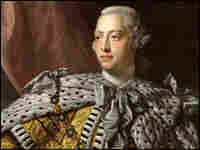 Over the years, the story found its way into the folklore of George III and into our radio piece ... until now. We have declared our independence from this historic misquote. 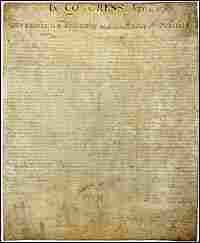 Below is the original text of the Declaration of Independence, alongside photos of the NPR staff members and contributors who performed the reading.